Almost everybody’s purchased a comic book in their lifetime and odds are, that when they first bought that classic issue of Superman or Spiderman with their weekly allowance, they didn’t think it’d be worth thousands of dollars years later. It just so happens, that comic books are some of the most valuable collectables in the world so pull out that dusty cardboard box, because your nostalgic old collection might be worth a whole lot more than the sentimental value you’ve attached to it! With that, we bring you our round-up of the top 10 most valuable comics in the world. 1962 fetched $280,000 at auction. Why? Because this marked the first introduction of the iconic Spiderman. That’s enough to buy over 50,000 Spiderman comics today! …or you know, a brand new Bentley. 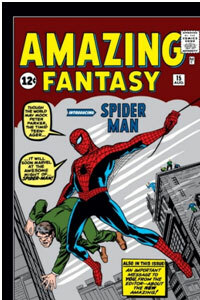 It also turned out to be one of Marvel’s biggest-selling comics of all-time. And seven months later, they launched The Amazing Spider-Man series. 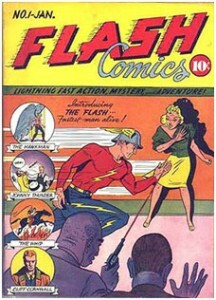 The first issue of Flash Comics was released in 1940, and marked the first wave of superhero culture as we know it. This issue has sold for $289,000. It also brought the world of super-fast super-hero the Flash, the result of mild-mannered researcher Jay Garrick breathing in mysterious vapors that gave him blindingly fast powers. 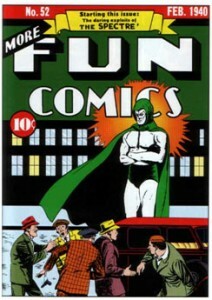 “The Spectre” probably isn’t the first name that comes to mind when you think of famous superheroes, but his introduction back in 1940 is enough to propel the 52nd issue of More Fun Comics to a value of $316,000. 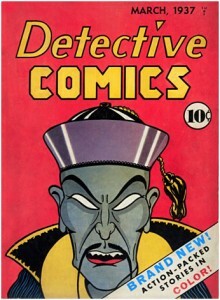 It turned out to be a big hit for the Fun Comics series, which ran from between 1935 and 1947. More Fun was also the first comic to use original superheroes who weren’t also seen in newspaper strips. 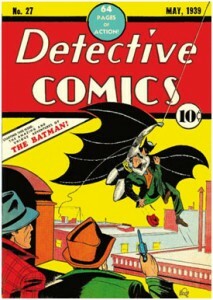 Batman was actually introduced in Detective Comics back in 1937, but his own series: Batman wasn’t released until 1940. The first issue of his self-titled comic is worth $359,000. It also introduced now-staple Batman characters such as Catwoman and arch-nemesis the Joker – both of whom have stood the test of time, as far as Batman villains go. Over the years, Marvel has become the most iconic name in the comic book world. 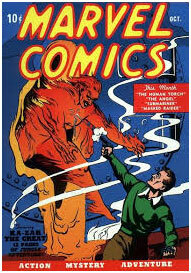 The first issue of Marvel Comics was released in October of 1939 and sold for $367,000. It gave the world the Human Torch, whose superhero life began as a twisted university experiment. Surprisingly, this is the only comic on this list that doesn’t include any superheroes. Nevertheless, action series Detective Comics has become famous for eventually introducing the world to Batman. This is without a doubt one of the reasons that this issue is worth $405,000.But unlike some of the other historic (and historically important) comics on this last, Detective Comics is still being published every month by DC Comics, making it the longest-running continuously published comic book in the United States. 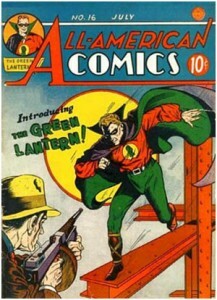 Famous superhero troupe: The Green Lantern debuted in the 16th issue of All-American Comics. This issue is now worth $430,000. The Green Lantern is one of the longer-running comic superheroes, though he may not carry the big-name appeal and immediate recognition of Batman or Superman (who Hollywood have returned to time and time again for sequels). But the origin story of railroad engineer Alan Scott turning into the Green Lantern continues to wow comic readers. Much like Batman #1, Superman didn’t debut in this comic. Even so, the first issue of “Superman” is worth $671,000. Superman’s roots in fact dates back earlier, to Action Comics #1 (No. 1 on our list). And, as with Batman and Spider-Man, proved so popular he got his own series. Speaking of Batman, his introductory comic book, Detective Comics #27, now has a price tag of $1.38 million. 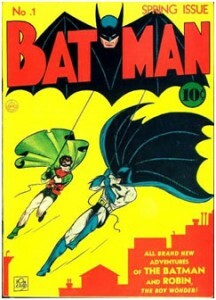 In this edition, billionaire Bruce Wayne is present at the crime scene of a murder, and then takes on the cloak and cowl to investigate as Batman. Last but not least, we bring you the comic book that would change the world forever. 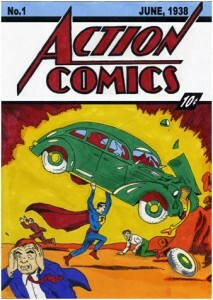 Action Comics #1: the introduction of Superman…now selling for a whopping $1.5 million. The first edition had a print run of only 200,000, all of which quickly sold out. 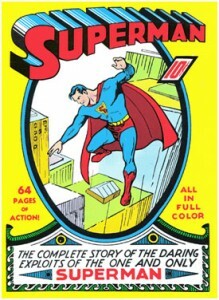 But it took the then-predecessor of DC Comics a bit of time to realize that Superman was behind the comic selling out. Wouldn’t you like to go back in time to show your mother this article when she told you to save your money instead of wasting it all on comics?